Frozen character Elsa may just be the first-ever gay Disney princess. 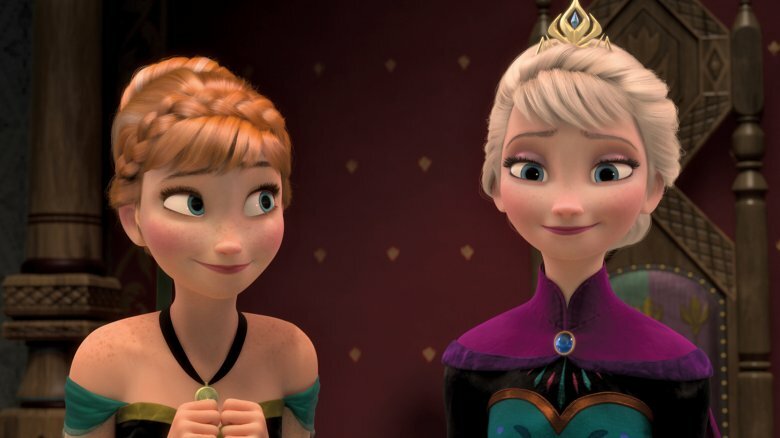 Revenge of the Fans reports that several "very reliable sources" have shared that Disney is going to reveal that Queen Elsa is a lesbian in the highly anticipated sequel to 2013's Frozen, Frozen 2. Unfortunately, there aren't too many known details about the film just yet. However, it's rumored that the team working on Frozen 2 is planning on introducing a potential love interest for Elsa. At the time of this writing, nothing has been released about that alleged character, but Revenge of the Fans theorized that Westworld star Evan Rachel Wood may voice her, as the openly bisexual actress officially joined the movie's cast in July 2018. Another hint about Frozen 2's potential plot direction can be ascertained from news that Hidden Figures screenwriter Allison Schroeder is helping out with the movie's scripting duties, according to The Hollywood Reporter. Given how Hidden Figures was celebrated for its depiction of female empowerment and strong women of color, it's possible that we could see similar themes in the Frozen sequel with Schroeder on board. Fans have long wished for Elsa to have a lesbian storyline. 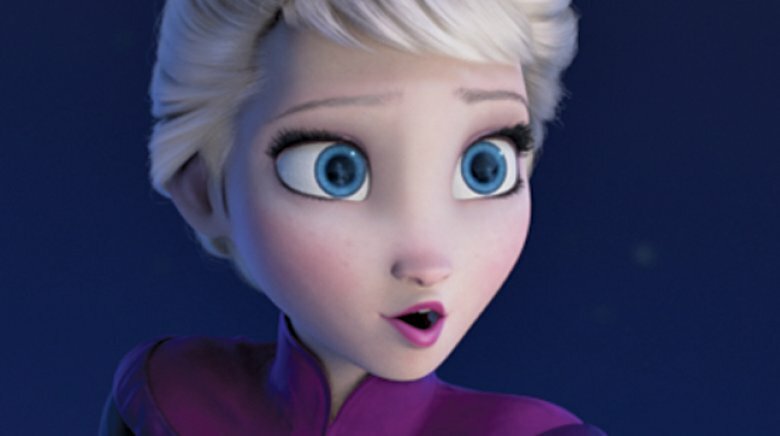 Some even signed a petition to "make Queen Elsa a lesbian." Others have promoted their desire to see Elsa fall in love with a woman by using the hashtag "#GiveElsaAGirlfriend" on Twitter. Frozen writer and co-director Jennifer Lee reacted to fans' cries by telling Huffington Post, "I love everything people are saying [and] people are thinking about with our film ― that it's creating dialogue, that Elsa is this wonderful character that speaks to so many people." She noted, "It means the world to us that we're part of these conversations." While she didn't give anything about Frozen 2 away, Lee continued, "Where we're going with it, we have tons of conversations about it, and we're really conscientious about these things," adding, "For me … Elsa's every day telling me where she needs to go, and she'll continue to tell us. I always write from character-out, and where Elsa is and what Elsa's doing in her life, she's telling me every day. We'll see where we go." For her part, Idina Menzel, who voices Elsa, said that she thought fans' desire to reveal Elsa to be a lesbian "great" (via Entertainment Tonight). Sounding ready to embrace her character's potential love story, she added, "Disney's just gotta contend with that. I'll let them figure that out." 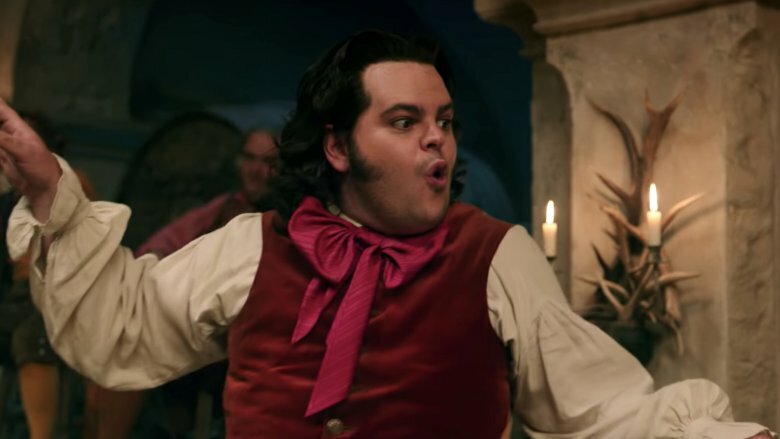 While there hasn't yet been a gay Disney princess, there was a gay character in Disney's 2017 live-action movie Beauty and the Beast: Gaston's right-hand man, LeFou, played by Josh Gad (who voiced snowman Olaf in Frozen). However, the "exclusively gay moment" that director Bill Condon promised turned out to be a letdown of sorts, as USA Today called it a "blink-and-you'll-miss-it shot." In August 2018, however, Disney was said to have finally cast its first openly gay character by giving the role to actor Jack Whitehall. He'll play the "hugely effete, very camp and very funny" brother of actress Emily Blunt's character in Jungle Cruise, which also stars Dwayne "The Rock" Johnson (via The Sun). It wasn't long until Disney faced criticism regarding the casting choice, with many upset that a straight man would portray a gay character and could potentiall "[perpetuate] stereotypes," as reported by CBS News. Hopefully, Disney will take care to depict a potential lesbian romance in Frozen 2, should the film actually be about Elsa landing herself a girlfriend. Not too many details about Frozen 2 have been released at this time. In March 2017, Idina Menzel revealed to Entertainment Tonight that production had begun on the movie, but that's pretty much all she could share with the public. Like Menzel, Kristen Bell and Josh Gad will also reprise their roles in the sequel. In August 2018, Disney announced that This Is Us star Sterling K. Brown had been cast in the film as well (via Variety). Frozen 2 is slated to hit theaters on Nov. 27, 2019. That should give any fans against the idea of Elsa having a girlfriend to just … let it go.